Secker, Jane and Coonan, Emma (2011) A new curriculum for information literacy: executive summary. Arcadia Programme, Cambridge University Library, Cambridge, UK. Secker, Jane (2011) Proving the value of digital and information literacy in higher education through Project DELILA. Impact of Social Sciences Blog (13 Jul 2011). Blog Entry. Kris Roger and Chris Fryer (2009). Lecture Capture using the EchoSystem from Echo360. Association for Learning Technology Newsletter. Issue 16 May 2009. Athina Chatzigavriil, Kris Roger and Matt Lingard (2008). Association for Learning Technology Conference Review. Association for Learning Technology Newsletter. Issue 14 October 2008. Jane Secker and Peter Godwin (2008). Information Literacy meets Library 2.0: a hands on workshop for librarians. Organised by the SCONUL Information Literacy group / CILIP CSG-Information Literacy Group. 3rd July 2008. Jane Secker & Gwyneth Price. (2008) Libraries as a social space: enhancing the experience of distance learners using social software. In Brophy, P, Craven, J. & Markland, M. (Ed). Libraries Without Walls 7: Exploring Anytime anywhere delivery of library services. Facet: London. Jane Secker (2008). 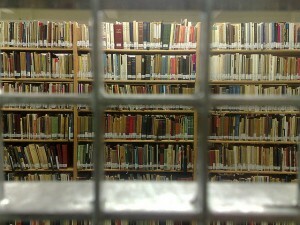 Social software and libraries: a literature review from the LASSIE project. Program. 42 (3), 215-231. Jane Secker (2008). The adventures of LASSIE: Libraries, distance learners and social software. Serials. 21 (2) July, 112-115. Jane Secker, Jeni Brown and Chris Fryer (2008). The LSE Training Portal: a Really Simple Solution. Paper given at LILAC 2008, Liverpool John Moores University. 17th – 19th March 2008. Jane Secker & Gwyneth Price (2008) Virtual Libraries as Virtual Learning Spaces: the experiences of the LASSIE project. Paper given at Networked Learning Conference, Halkidiki, Greece. 5-6th May 2008. Matt Lingard, Kezia Richmond, Kris Roger & Jane Secker, Blog it, Tag it, Poke it! Emerging Technologies for Careers Services, Presentation & workshops at Association of Graduate Careers Advisory Services (AGCAS) Regional Training Event, LSE, March 31st. Matt Lingard & Hervé Didiot-Cook, What We Like About Moodle, Presentation at VLE Languages User Group IVth Annual Meeting, LSE, 18th March. Matt Lingard & Hervé Didiot-Cook, Winning with Wimba? From early enthusiasts to the mainstream at a UK University, Presentation at Wimba Connect 2008, Orlando, Florida, 5th March. Jane Secker and Christopher Fryer (2008). “Information Literacy and RSS feeds” in Godwin, P and Parker, J (eds) “Information Literacy Meets Library 2.0“. London: Facet. March 2008. Steve Bond, Caroline Ingram and Steve Ryan. Reuse, repurposing and learning design – Lessons from the DART project (e-journal). Computers & Education 50 (2), 601-612. February 2008. Jane Secker (2008) The continuing adventures of LASSIE. ALISS Quarterly 3 (2), 9-12. January 2008. Jane Secker (2008) The adventures of LASSIE: libraries, social software and distance learners. libraries@Cambridge conference presentation. 10th January 2008. Matt Lingard, Emerging Technologies and their Use in Careers, Presentation & workshops at the Association of Graduate Careers Advisory Services (AGCAS) Heads of Service Conference, Harrogate, 10th January. GRUSSENDORF, Sonja. A critical assessment of the NMC Horizon reports project. Compass: Journal of Learning and Teaching, [S.l. ], v. 11, n. 1, apr. 2018. ISSN 2044-0081. Walker, Harry and Chatzigavriil, Athina (2017) Evaluation of the use of blog posts as a method of assessment for AN300: ‘Advanced Theory in Social Anthropology’ (2016-2017). The London School of Economics and Political Science, London, UK. Bryant, Peter (2017) Generating learning through the crowd: the role of social media practices in supporting students as producers at scale. In: Partridge, H. and Davis, K. and Thomas, J., (eds.) Me, Us, IT! Proceedings ASCILITE2017: 34th International Conference on Innovation, Practice and Research in the Use of Educational Technologies in Tertiary Education. ASCILITE, Toowoomba, Australia, pp. 197-207. Wilson, Emma and Roger, Kris and Ney, Sarah (2017) The Clement House rotunda project: an evaluation of six informal learning spaces at LSE. Learning Technology and Innovation, The London School of Economic and Political Science, London, UK. Jane Secker, Gwyneth Price and Debbi Boden (2007). The Information Literacy Cookbook: ingredients, tasters and recipes for success. Chandos: Oxford. Jane Secker (2007) The adventures of LASSIE: libraries, social software and distance learners. UK Serials Group Seminar: Caught up in Web 2.0? 22nd November 2007. Matt Lingard, Why Don’t All Lecturers Make Use of VLEs? What Can the So-called “Laggards” Tell Us? (PDF) MA Report, Institute of Education, University of London. November 2007. Jane Secker, Gwyneth Price and Kris Roger. (2007) Libraries, distance learners and social software: providing social spaces to support learning. Paper at Towards a Social Science of Web 2.0 Conference. Univeristy of York. 5-6th September 2007. Matt Lingard & Kezia Richmond, Blog it, Tag it, Share it! Learn the Language of the Google Generation, Presentation at the Association of Graduate Careers Advisory Services (AGCAS) Biennial Conference, Birmingham University, 5th September. Steve Bond & Steve Ryan. Developing re-usable and re-purposable tools to enhance student learning: some lessons from the DART project (PDF). Presentation at ED-MEDIA 2007 conference, Vancouver, Canada, June 25- June 29, 2007. Jane Secker. (2007) Libraries, social software and distance learners: LASSIE’s recent experiences in the web 2.0 world. Paper given at CDE Fellows Conference. Institute of Education. 19th June 2007. Steve Bond, Steve Ryan & Caroline Ingram. Reuse, repurposing and learning design: Lessons from the DART project. Presentation at CAL’07 conference, Dublin, Ireland, 28th March 2007. Secker, Jane and Chatzigavriil, Athina and Leape, Jonathan (2010) The impact of technologies in a first year undergraduate course for social scientists. In: European Conference on E-learning (ECEL 2010), 4 – 5th November 2010, Porto, Portugal. Bryant, Peter (2012) The modern university in the digital age. Greenwich Connect Key Documents, Educational Development Unit, University of Greenwich , London, UK. Moon, Darren (2012) CLT seminar series looks to a wider audience to enrich the debate around technology and education. Impact of Social Sciences Blog (21 Mar 2012) Blog Entry. Secker, Jane and Bell, Maria (2014) Developing digital and information literacies in LSE undergraduate students. ČITALIŠTE (24). pp. 16-24. ISSN 2217-5563 Not available from LSE Research Online. Chatzigavriil, Athina, Foley, Geraldine and Fernando, Tarini (2015) LSE100 portfolio assessment pilot study. The London School of Economics and Political Science, Learning Technology and Innovation, London, UK. Chatzigavriil, Athina and Fernando, Tarini (2015) Moodle-turnitin integration pilots. The London School of Economics and Political Science, Learning Technology and Innovation, London, UK. Chatzigavriil, Athina, Fernando, Tarini and Werner, Malte (2015) e-assessment practice at Russell Group Universities. The London School of Economics and Political Science, Learning Technology and Innovation, London, UK. Chatzigavriil, Athina and Fernando, Tarini (2015) Law e-assessment pilot study. The London School of Economics and Political Science, Learning Technology and Innovation, London, UK. Chatzigavriil, Athina, Foley, Geraldine and Fernando, Renuka (2015) GV100 e-assessment pilot study. The London School of Economics and Political Science, Learning Technology and Innovation, London, UK. Morrison, Chris and Secker, Jane (2016) Nine things you need to know about copyright: a good practice guide for administrators, librarians and academics.Impact of Social Sciences Blog(05 Apr 2016) Blog Entry. Roger, Kris, Ney, Sarah and Liote, Laurent (2016) Teaching spaces design and development at LSE: an evaluation of impact on teaching and learning.The London School of Economics and Political Science, London, UK. Moon, Darren (2016) Crowdsourcing for social sciences researchers: data gathering, teaching, learning and research dissemination from a single project. Impact of Social Sciences Blog (03 Oct 2016). Blog Entry.